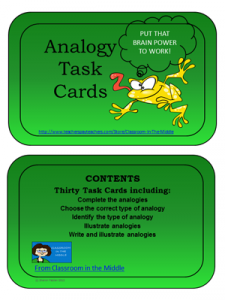 Task cards don’t always need to be laminated and saved to use over and over for class activities. In fact, task have so many uses, and I keep finding more! Because of their small size, task cards are great to print for students to paste in their interactive notebooks as examples. 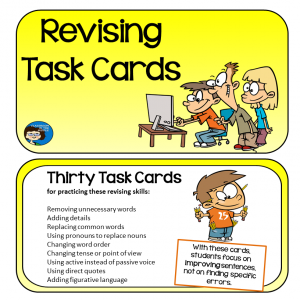 You are probably already using task cards to practice various reading skills, and maybe writing or editing and vocabulary, too. 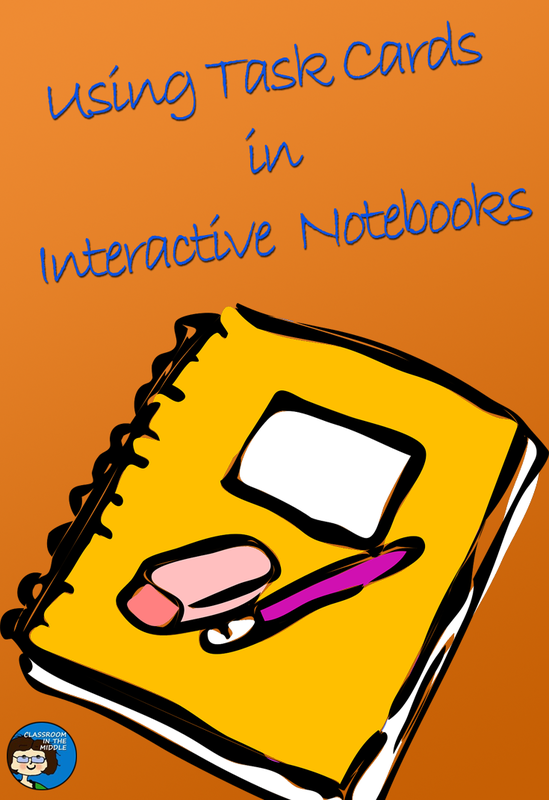 Why not make copies of a few, and have your students insert them into their notebooks for examples. 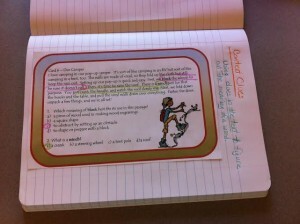 Students can complete the activity on the card and even color code to make the example more clear. Here is an example. This card is one from my set of context clues cards, called Context Clues Expedition. In this example, the text based evidence for each question in marked in a different color to match it to the questions. 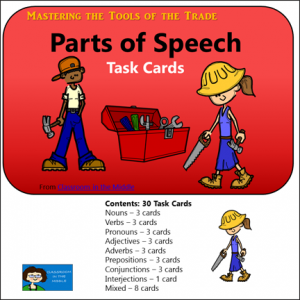 Task cards could also be added to students notebooks to illustrate other specific reading skills, such as finding clues to characterization. Another use might be to illustrate grammar ideas important for editing, such as subject/verb agreement. I’m sure you could think of lots of other uses. Any ideas?